Serbia – the independent state located in the southeast of Europe. Despite young age, the country has huge potential in the tourist sphere. 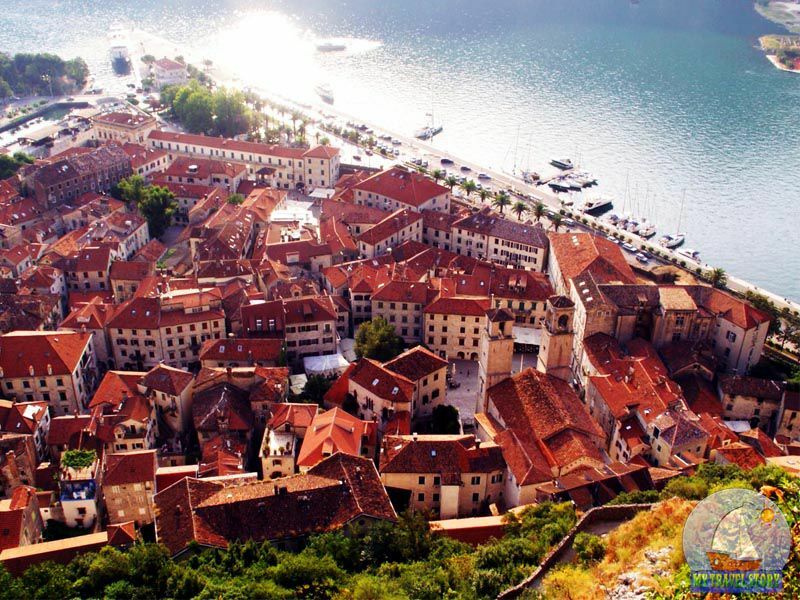 Serbia is ideally suited for travel with traditional excursions, rounds on sights and popular places. 1. The country is the largest exporter of raspberry in the world! More than 30% of world export of this product are the share of Serbia. And whether you know that more than 95% of raspberry of top-class – the Serbian production. 2. Serbia – the only country outside the CIS at which the agreement on free trade with Russia works. 3. According to official figures the UN, in the territory of the country lives the greatest number of refugees in Europe! In total them there are more than 314 thousand. Mass settling of Serbia by immigrants is explained by disintegration of Yugoslavia after which hundreds of thousands of people from Croatia, the former Serbian Kraina, Bosnia and Herzegovina, and also Kosovo have moved here. 4. The population of Serbia are exceeded by 7,1 million people. 5. The Republic of Kosovo has proclaimed on February 17, 2008 itself the state, independent of Serbia. The Albanian majority (92%) which demanded independence rules the territory. The country was recognized only by 86 powers of the world. 6. The Roman emperor Constantine the Great was born in the city of Nish, Serbia, in 274 our era. 7. Serbia was one of 6 republics which were a part of Yugoslavia. In 2003 the free alliance between Montenegro and Serbia has been concluded. He has existed only 3 years. By results of a referendum in May, 2006, Montenegro, and then and Serbia, have declared independence. 8. Serbians have lodged on the Balkan Peninsula in the 6th and 7th centuries. 9. Interesting fact: World War I has begun because of the Serbian. In 1914 the Serbian nationalist has killed the archduke of Austria Franz Ferdinand. It has also served as a pretext of declaration of war against Serbia. 10. Soccer, basketball and volleyball are the most popular sports in Serbia. The basketball and volleyball national teams – one of the strongest and perspective in the world. 11. Belgrade the Arena – one of the largest sports and concert halls in Europe. Here very often there take place concerts of world stars and the international competitions. 12. The parking of hunters Lipenski-Vir is the first civilization in Europe which could leave behind a sculpture. 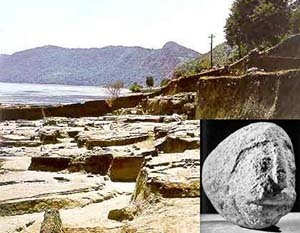 It demonstrates high development of these settlements in 7000 years B.C. 13. The first satellite signal from Europe to North America was has sent in 1963 from Serbia. 14. 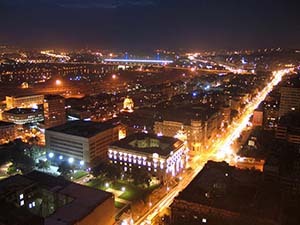 Interesting fact: Belgrade – the capital and the largest city of Serbia. His population makes more than 1,1 million people. However the real number of inhabitants, including illegal immigrants, exceeds 2 million people! 15. 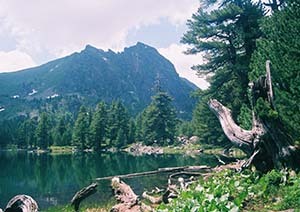 The silver lake which is often called the Serbian sea is the biggest in Serbia. It also is one of the purest and beautiful lakes in Europe. 16. In December, 2009 Serbia has submitted the application for the accession to the EU. 17. The park Kalemegdan is one of the most known and popular sights of Belgrade. Tourists are impressed by fine sculptures, medieval architecture and magnificent fountains. 18. More than 85% of the population of the country are professed by Orthodoxy; 5% – Catholics, 3% – Muslims. Other 7% are adherents of other religions. 19. Serbia occupies the territory in 88 361 sq.km. 20. The service in the Serbian army is voluntary. It has become possible thanks to reforming of armed forces in 2011. 21. Interesting fact: Prince Michael Street in Belgrade is one of the most beautiful pedestrian streets of Europe. Here the huge number of the impressive constructions and mansions constructed at the end of 1870 is located. 22. Rural tourism of Serbia – one of the most developed in Europe. He is an outdoor recreation, healthy food and participation in active sports. 23. In Serbia there are more than 1,6 million cars. 24. Serbia – one of the few countries of Europe which has a visa-free regime along with the European Union and Russia – the interesting fact.